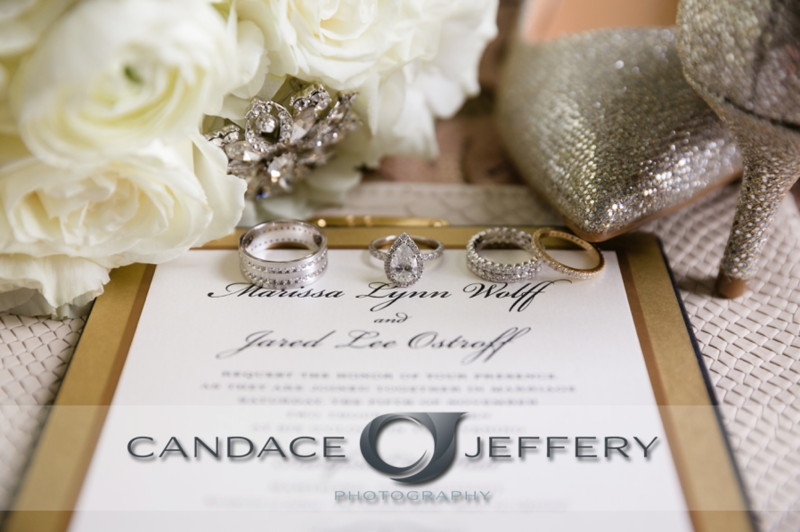 Marissa and Jared had one glam wedding! 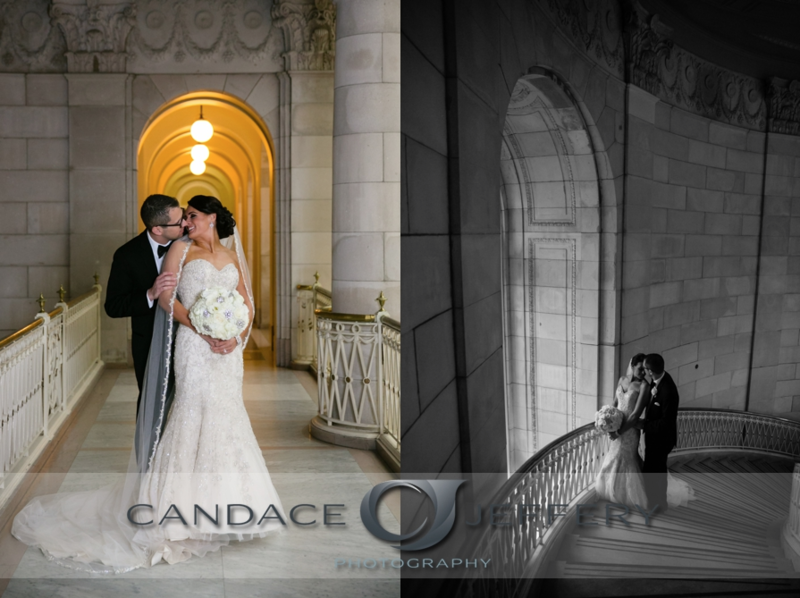 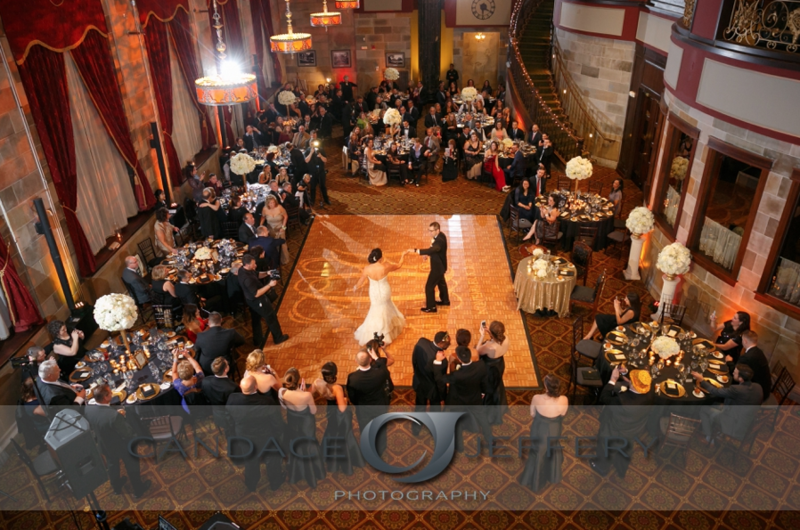 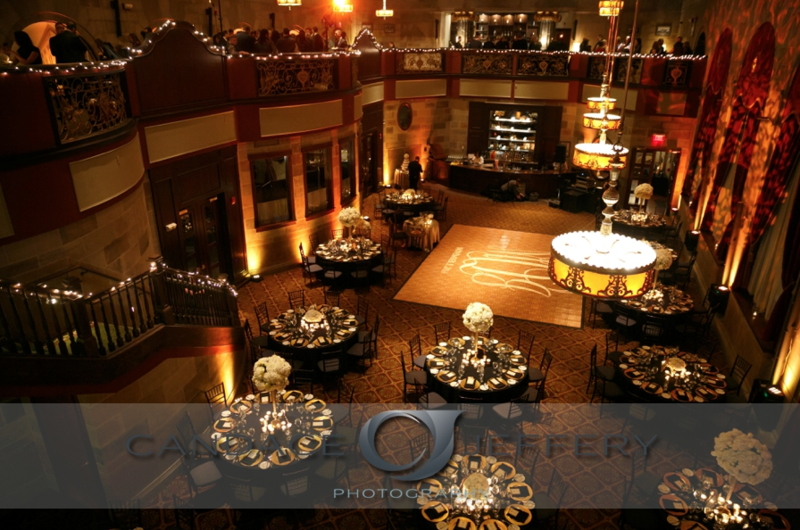 The ceremony took place at the exquisite Hartford City Hall which boasts amazing architecture, and the reception was held at the super swanky Society Room of Hartford. 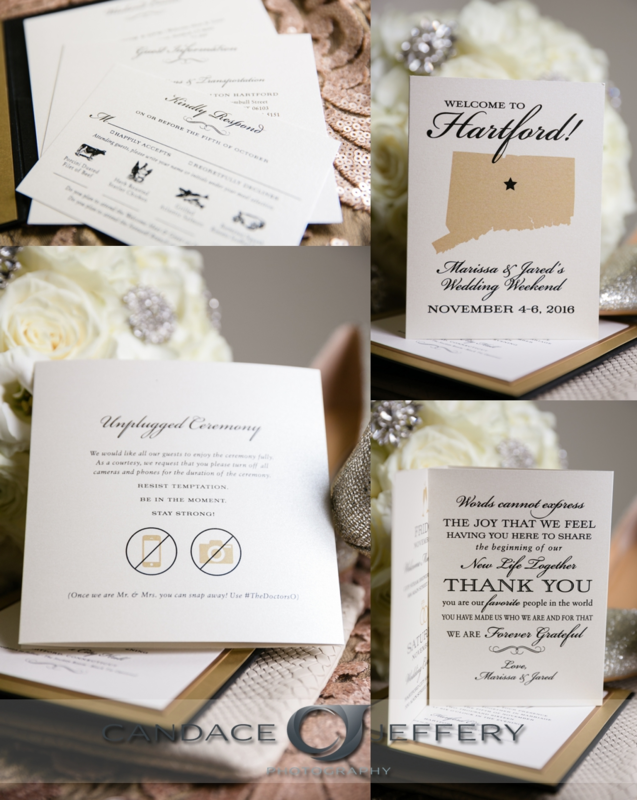 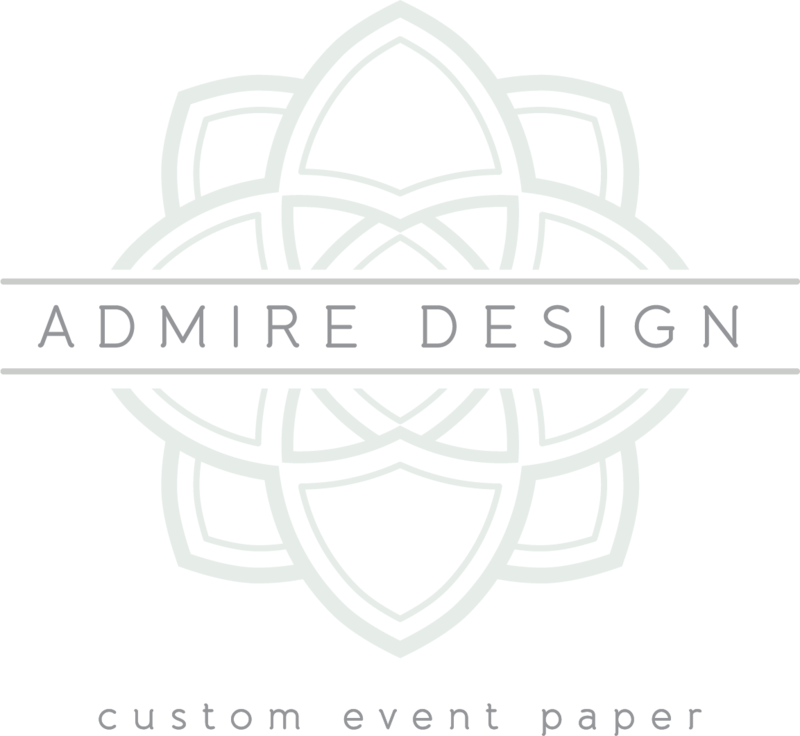 We created several beautiful stationery pieces for their wedding, starting with a personalized wedding monogram and a custom pocket invitation in black and ivory with shades of shimmery metallic gold. 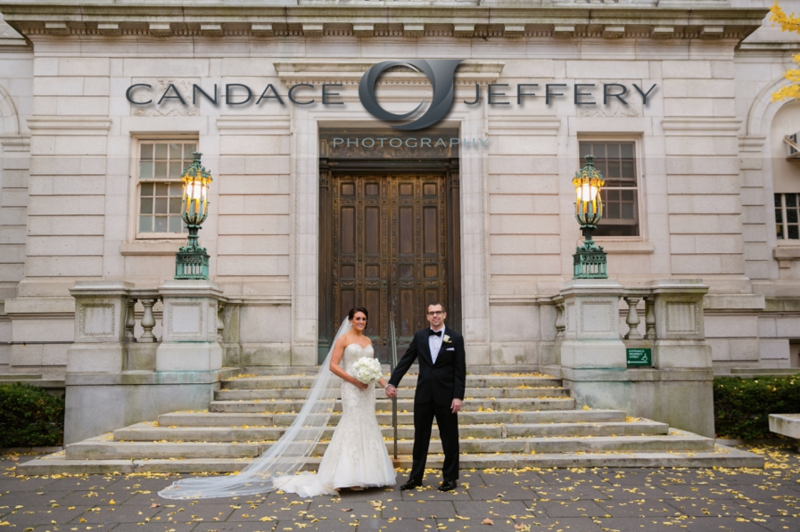 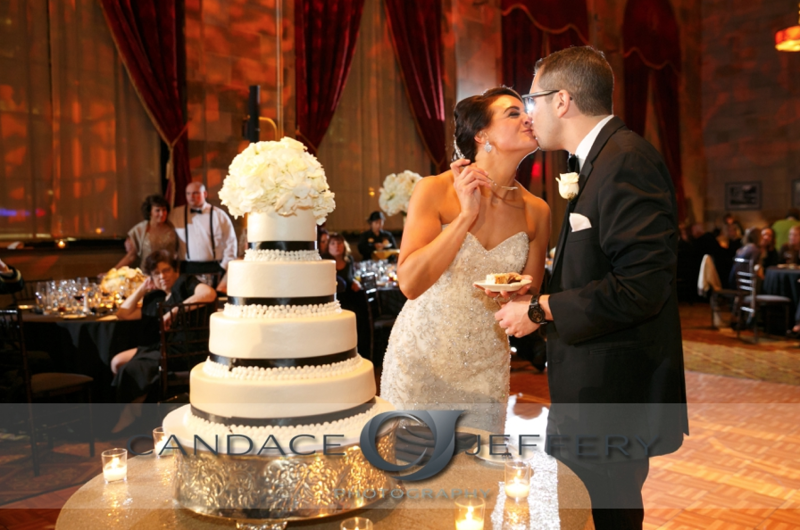 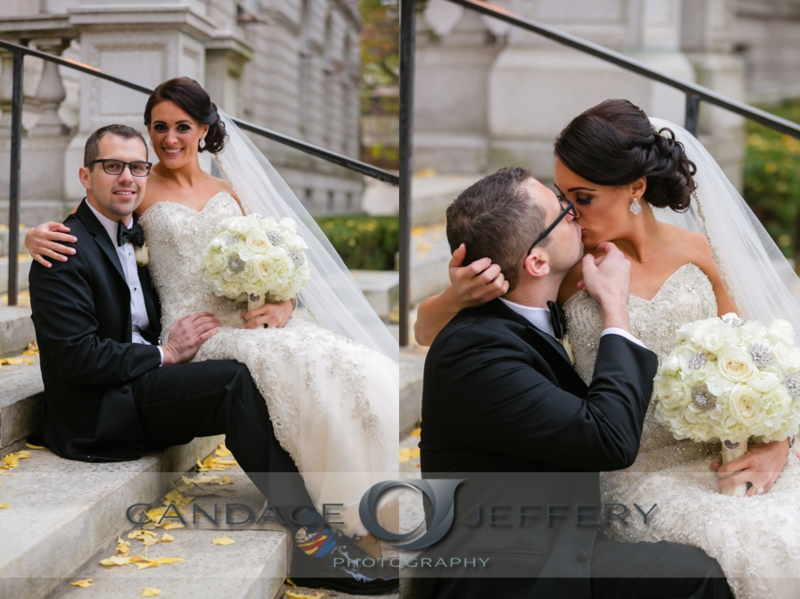 Marissa and Jared wanted everything to feel timeless and elegant, but not forgetting that touch of glam. 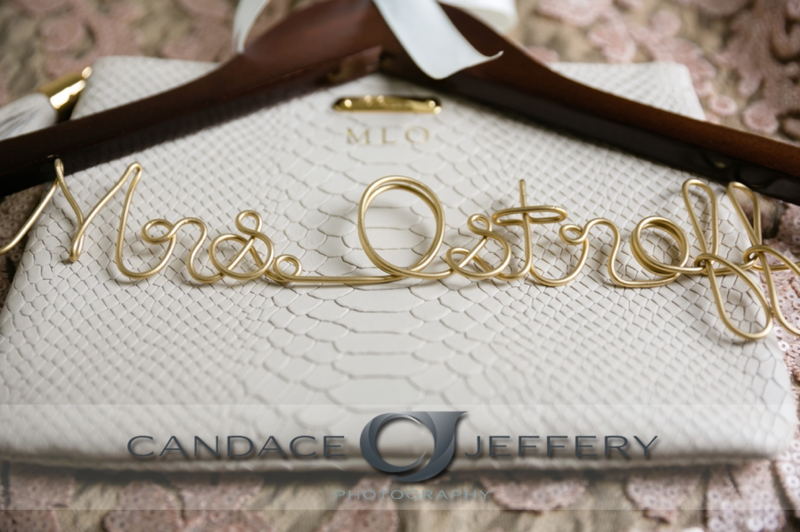 For their wedding day we used the wedding monogram again on gift tags, wedding table menus, and we even created a custom gobo (light projected onto the dance floor) so they could share their first dance with this very special signature touch. 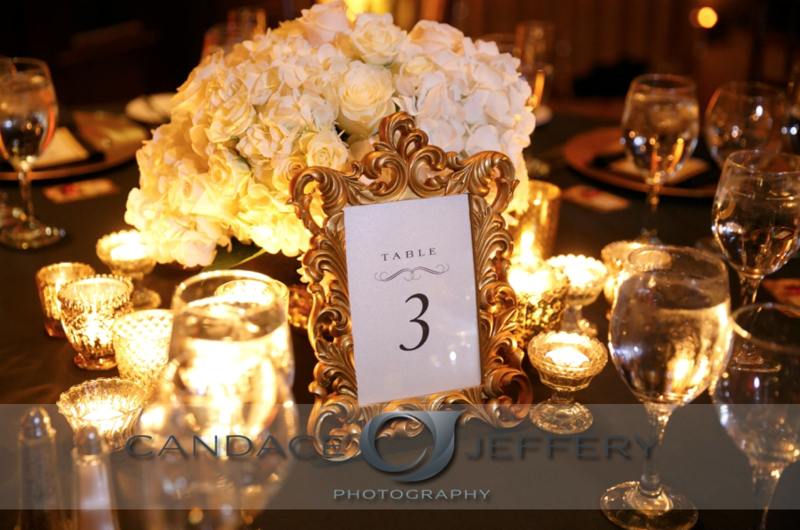 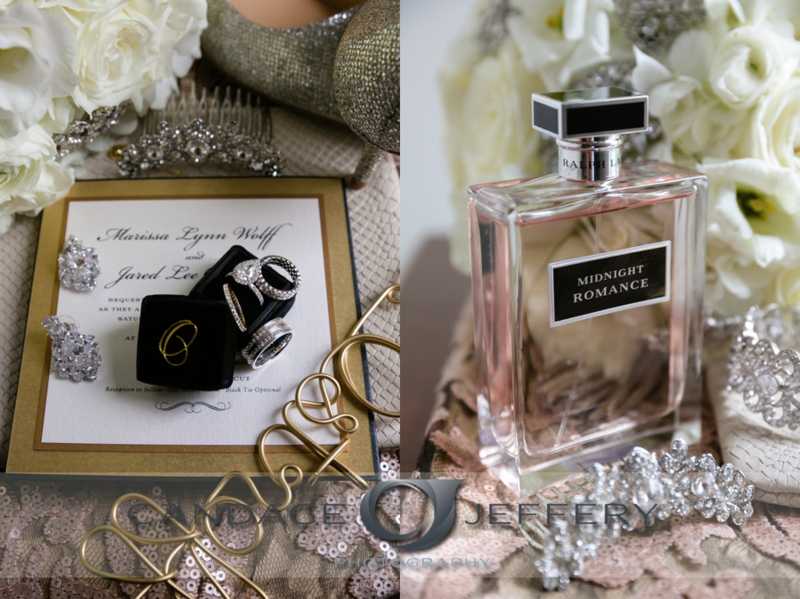 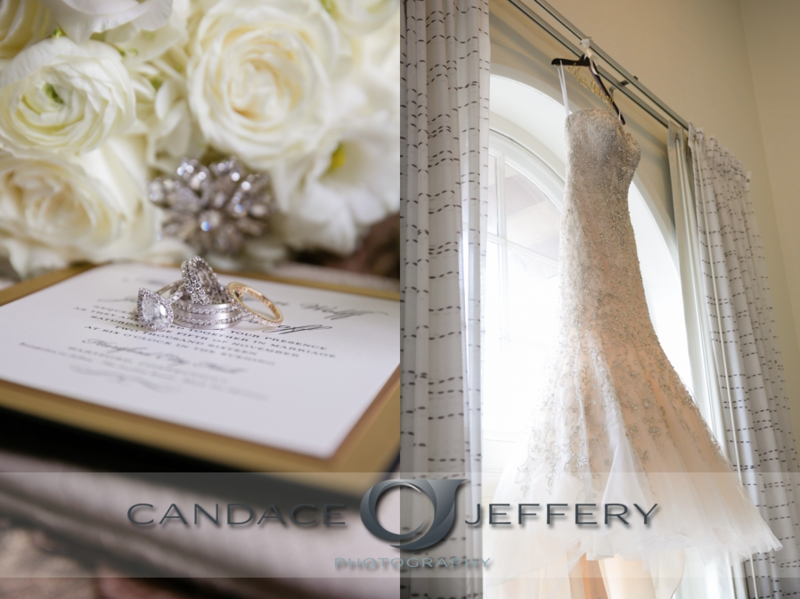 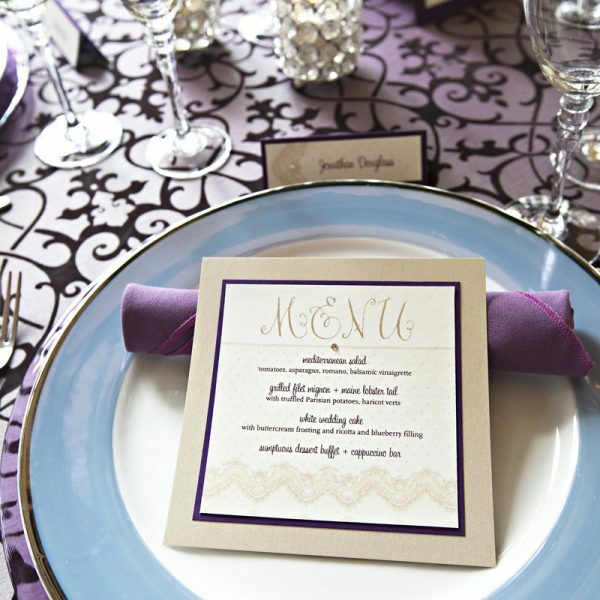 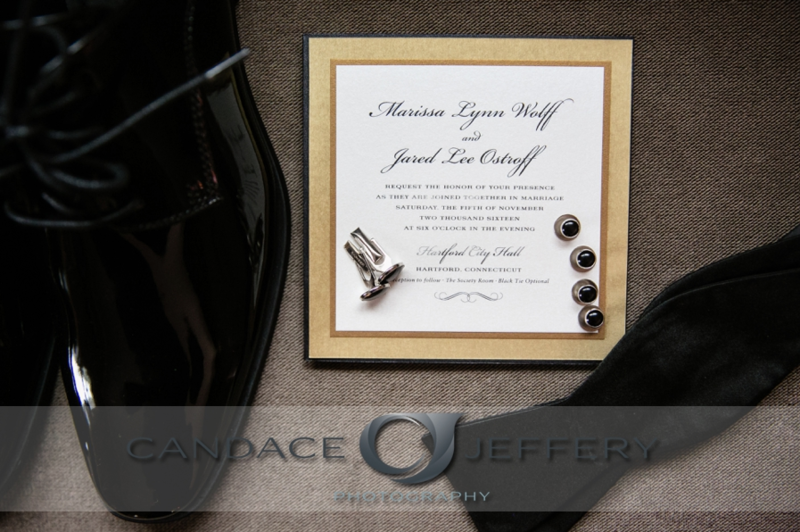 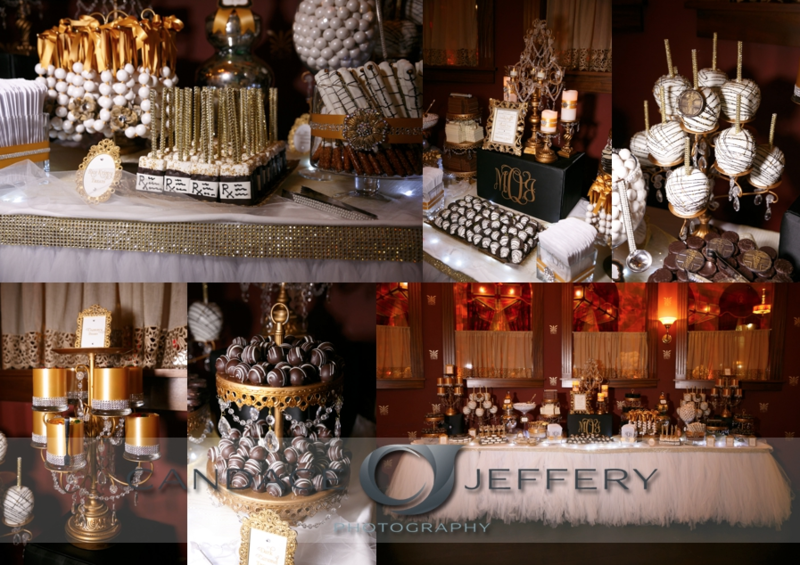 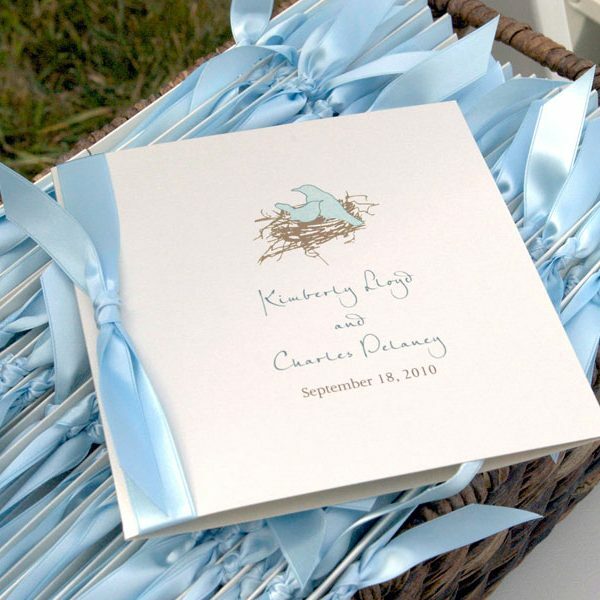 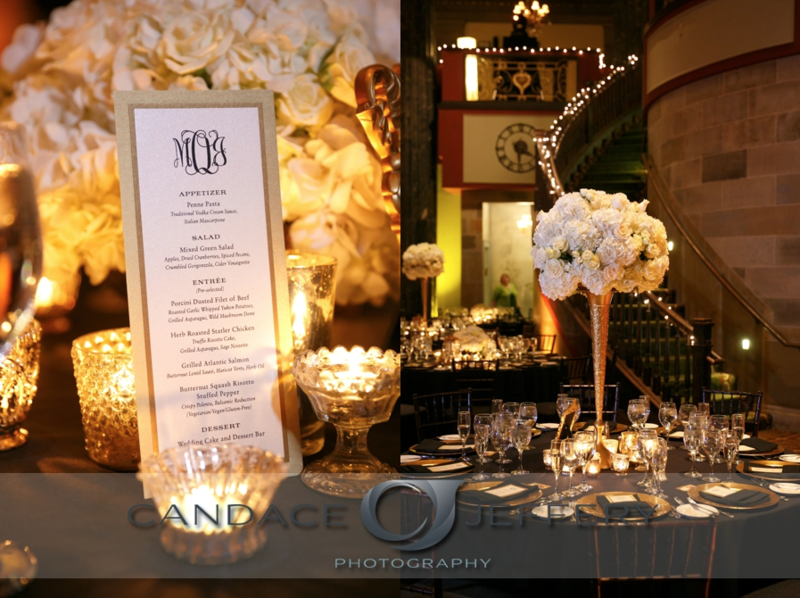 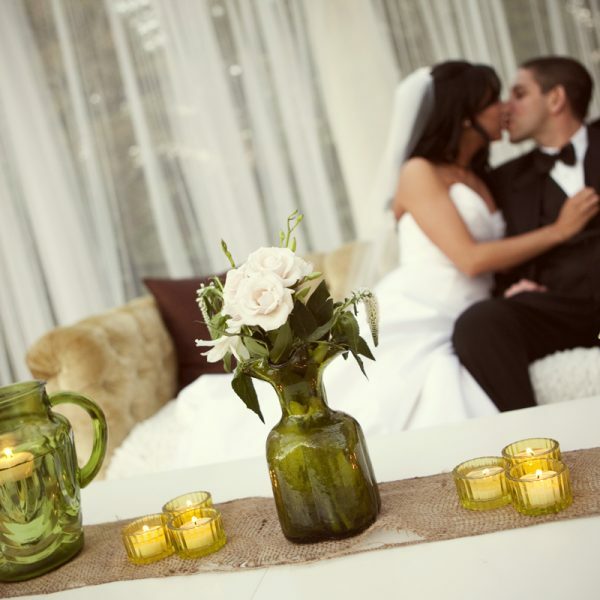 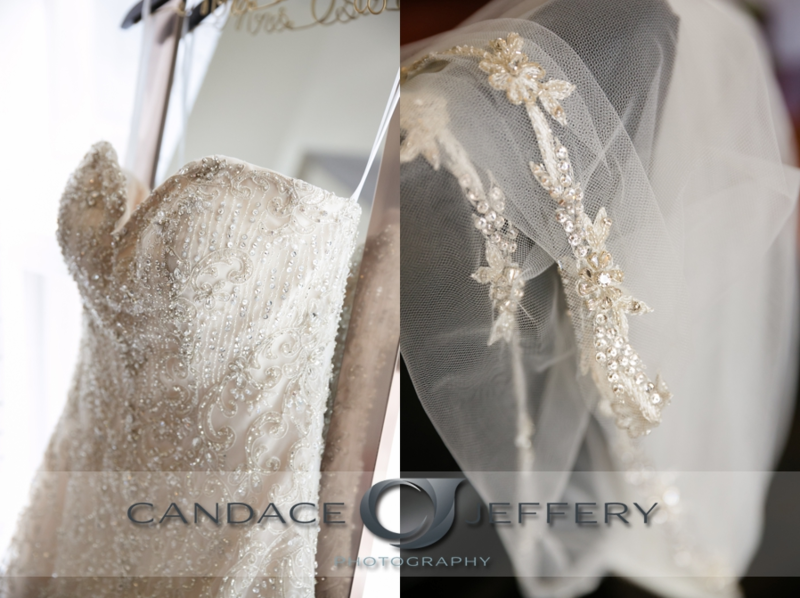 Enjoy this incredibly detailed wedding design, photographed with love by Candace Jeffery Photography! 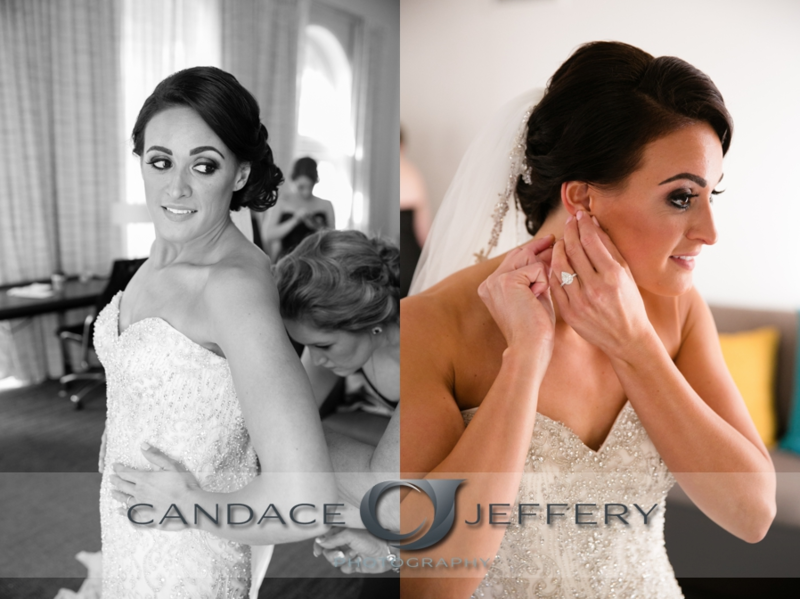 Hair & Makeup | Larissa Lake and Co.